The lowest line is unalloyed M. As the mole fraction of M in the alloy decreases, the lines shift upward but remain parallel. As an example of the use of the diagram, consider an alloy with mole fraction of M equal to xMi. 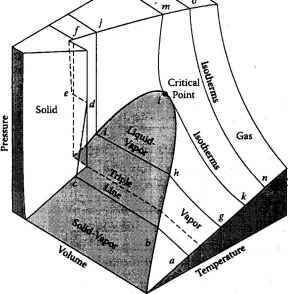 If an oxygen pressure is imposed on the M-P alloy and the system temperature is fixed, the equilibrium mole fraction of M is reduced to xMf. Some of the M in the initial alloy becomes oxidized and converted to MO2 until the required reduction in the concentration of M in solution is achieved.